full patient load, you can’t afford to have a weak IT infrastructure in your office. You need to have a working computer, steady network system, functional printers and more, for your day-to-day medical tasks. However, you don’t have to worry about solving these tech-related issues all by yourself, because HoustonTech’s team of experts is here to help you with your IT support needs. After all, your patients should be your number one priority— not your IT. 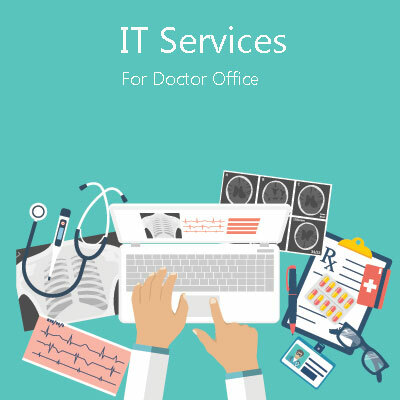 HoustonTech specializes in providing managed IT services for small to medium-sized businesses in the Houston area, but we also cater to doctors’specific tech needs for their office’s equipment. With our tailored and specialized IT solutions for Houston’s medical industry, we can help you maintain a reliable IT system, while you focus on giving your patients the service they deserve. We also make sure that all your important data (patient records, insurance files, etc.) is stored and secured in a way that’s compliant with HIPAA, or the Health Insurance Portability and Accountability Act of 1996. Aside from these, we also provide proactive monitoring, maintenance, and virus prevention services 24/7 to ensure that your units are always working properly, with minimal or no signs of slow performance. Let HoustonTech take care of your IT support needs, so that you can do the same for your patients! Call us at 832-630-4986 so we can discuss the best solutions for you. We are available from Monday to Friday, 07:30AM-07:00PM, to take your call. to get a free quote or schedule a sales pitch-free, complimentary consultation.